Looking to give (or get) the ultimate gift of goodness this year? Our Spirited Weekend is back January 12-14! After rave reviews from the past two years, the all-encompassing look into Dogfish Head's off-centered world is back with some new twists. Don't miss out on this weekend made for beer and spirit geeks alike! 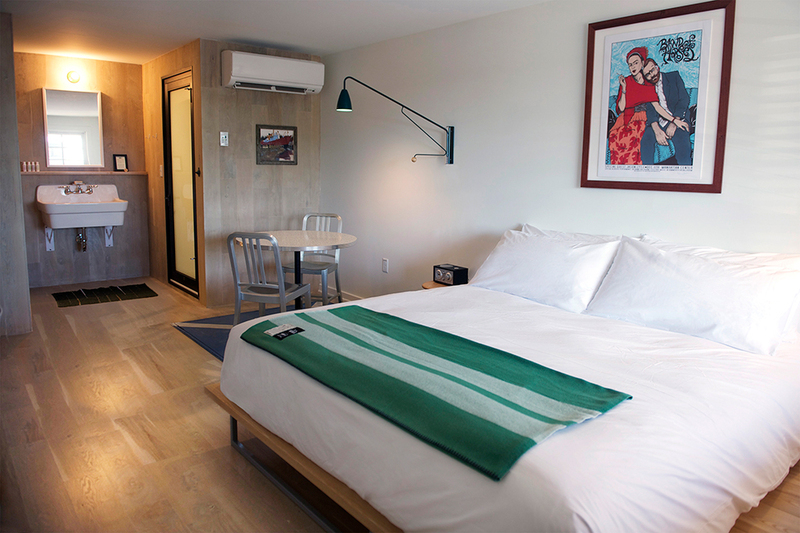 Come spend two nights with us at the Dogfish Inn and we'll show you each and every one of our coastal Delaware locations. With the Dogfish Inn as your base, we've got you covered when it comes to transportation - that's to and from all the fun. 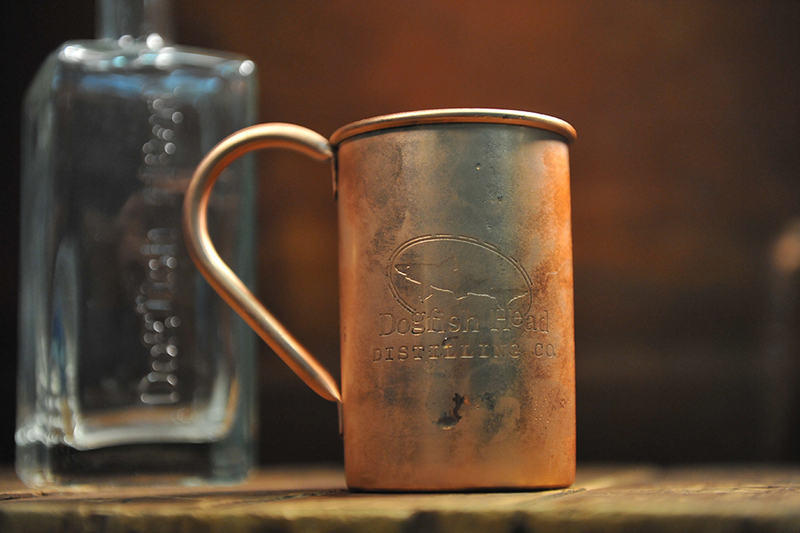 - Moscow Mule happy hour at Striper Bites followed by a Fireside Chat with Sam Calagione at the Dogfish Inn. 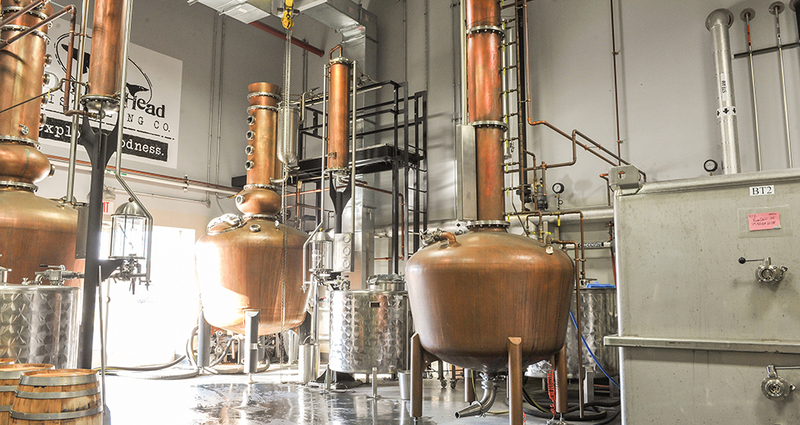 - Behind the scenes tour of Brewery and Distillery with Distillery GM James Montero and Lead Distiller Graham Hamblett. - Custom Cocktail Mixology class at Chesapeake & Maine. Enjoy a delicious munchie to share while our mixologist creates a custom cocktail just for you! Did we mention this is all for TWO people? Yep ... two! This event will kick off with a Friday Happy hour with Sam Calagione at Striper Bites, located just behind the Inn from 5:30-7:00 p.m. The first Moscow Mule is on us! Join us back at the Inn for a fireside chat from 7:30-8:30. Happy hour pricing will be going for any food items you wish to pick up. The fire will be going ‘til 10 p.m. for after hours, but get some rest, Saturday is a big one! Kick off the weekend with a Moscow Mule at Striper Bites! - Mixology training with one of our Master Jedi mix-masters at our James Beard Award nominated Chesapeake & Maine! You will get a crash course in mixology while eating delicous munchines with a cocktail created just for you. - Van/Bus returns to the Inn at 7:30 p.m., but folks are free to stay in town and hit live music at Dogfish Brewings & Eats. You will receive a $15 Uber code to get back to Lewes safe and sound.